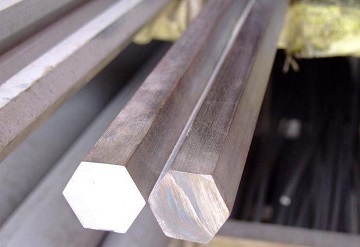 The Alloy 20 bars(UNS N08020) manufactured to ASTM B473 can be furnished in several types: (1)hot-finished rounds, square, octagons, and hexagons: 0.25″(6.35 mm) and over in diameter or size; (2)hot-finished flats: 0.25″~10″, inclusive, in width, 0.125″(3.175 mm) and over in thickness; (3)cold-finished rounds, squares, octagons, hexagons, and shapes: over 0.5″ in diameter or size; (4)cold-finished flats: 0.375″(9.525 mm) and over in width, 0.125″ and over in thickness. ASTM B473 Alloy 20 hot-rolled bars, 36mm x 916mm. The chemical requirements of ASTM B473 Alloy 20 bar are the same as those of ASTM B564 Alloy 20 flanges. Corrosion test in accordance with ASTM A262 Practice A shall be performed per heat. 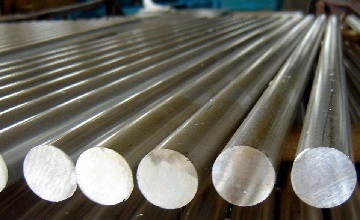 ASTM B473 UNS N08020 hot-rolled hexagonal bars. *A: Alloy 20 hot-finished or cold-finished bars, annealed. *B: Annealed Alloy 20 bars, strain-hardened.